Asian countries – Japan, South Korea, Singapore, Indonesia, Malaysia, China, India and Taiwan – are fast becoming the study destinations for international students to gain study abroad experience. To attract more bright students and promote bilateral relationships between nations, the governments of these countries offer generous scholarships in Asia for international students, especially those from developing countries. To help you achieve your dream of studying in a developed or emerging Asian economy, here is a list of scholarships in Asia and Middle East for international students from Africa and developing countries. Schwarzman Scholars was inspired by the Rhodes Scholarship, which was founded in 1902 to promote international understanding and peace, and is designed to meet the challenges of the 21st century and beyond. Blackstone Co-Founder Stephen A. Schwarzman personally contributed $100 million to the program and is leading a fundraising campaign to raise an additional $350 million from private sources to endow the program in perpetuity. The $450 million endowment will support up to 200 scholars annually from the U.S., China and around the world for a one-year Master’s Degree program at Tsinghua University in Beijing. The Government of the People’s Republic of China has placed at the disposal of UNESCO, under the co-sponsorship of UNESCO, seventy-five (75) fellowships for advanced studies at undergraduate and postgraduate levels. These fellowships are for the benefit of developing Member States in Africa, Asia–Pacific, Latin America, Europe and North America and Arab region. The fellowships, tenable at a selected number of Chinese universities, are for a duration of one year. These fellowships, are in most cases to be conducted in English. In exceptional cases, candidates may be required to study Chinese language before taking up research/study in their fields of interest. To promote the mutual understanding and friendship between China and other countries, and to provide education opportunities to the youths worldwide who enjoy good potentials in their career development, the Chinese Government established the “Scholarship for Youth of Excellence Scheme of China——Master Program （YES CHINA）” with the aim of providing financial support to the outstanding youth coming to China to pursue a Master’s degree. The programs duration will be open to applicants from 56 developing countries. Application Deadline: Deadline to be determined by participating schools. The University of Tokyo provides international students with scholarships that cover school expense exemptions, scholarships, emergency loans, and student discounts. The purpose of this scholarship is twofold: to financially support Self-Supported International Students whose academic performance is outstanding and to increase the number of students from abroad. For Undergraduate Program, the Korean Embassy or Consulate will recommend qualified candidates to NIIED by 15 November. Be sure to apply before this period. For the Graduate Program, the Korean Embassy or Consulate will recommend qualified candidates to NIIED by 31 March. Be sure to apply before this period. The Hong Kong PhD Fellowship Scheme (HKPFS), established in 2009 by the Research Grants Council (RGC), aims at attracting the best and brightest students in the world to pursue their PhD programmes in Hong Kong’s institutions. About 230 PhD Fellowships will be awarded each academic year. For awardees who need more than three years to complete the PhD degree, additional support may be provided by the chosen institutions. Under this Scheme, the Indian Council for Cultural Relations offers 900 scholarships to students from developing regions to study in India. At the inaugural plenary of the India – Africa Forum Summit held in New Delhi in April 2008, the Hon’ble Prime Minister of India announced the Government of India’s initiative to enhance the academic opportunities for students of African countries in India by increasing the number of scholarships for them to pursue undergraduate, postgraduate and higher courses. The Government of Japan offers 20 fellowships per year, to deserving candidates from UNESCO developing countries, especially the least developed countries (LDCs), who are eager to undertake research on one or more of the topics listed below. The aim of the fellowships is to support innovative and imaginative postgraduate research in the areas of development to which former Prime Minister Obuchi was committed and which coincide with areas of particular interest to UNESCO. The objective of the Program in Economic and Public Policy (PEPP) is to provide, within the time frame of 18 months, training and the necessary skills for the conception, design, and implementation of development policies. Our focus is on International Development with a trans-disciplinary approach to the economic and social problems of developing countries and former socialist countries. This scholarship programme is intended to build human capital of fellow developing countries through higher education. It aims to build capacities of young Africans by bringing them to the JGU campus in India and training them in key issue areas relevant to the national priorities of their respective countries. The ultimate goal of this programme is to strengthen people-to-people linkages between India and Africa. The National University of Singapore invite applications for Post-Doctoral Fellowship positions commencing in 2017/2018. These Post-Doctoral Fellowship positions may be held generally within NUS Law or, for candidates with appropriate backgrounds and expertise, within the Centre for Asian Legal Studies (CALS), the Centre for Law & Business (CLB), and the Centre for Banking & Finance Law (CBFL). The International Medical University (IMU) has introduced a scholarship programme for 2017. Scholarships will now be available for most IMU programmes. 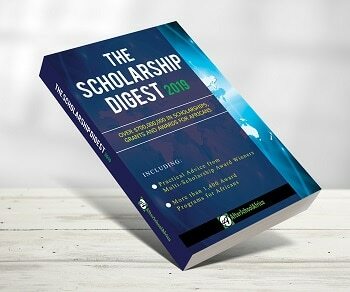 Scholarship is not automatically disbursed and is subject to approval from the Scholarship Selection Committee based on the candidates’ actual SPM or O-Level results and achievement in ECA. An interview is not required. The Annual TWAS-USM Visiting Scholar Fellowships in natural sciences is offered to scientists from developing countries (other than Malaysia) who wish to pursue advanced research in natural sciences. The Fellowships in natural sciences are tenable for a minimum period of one month to a maximum of three months at a school/department of the Universiti Sains Malaysia (USM). The language of instruction is English. The Department of Science & Technology under the Government of India offers C V Raman International Fellowship for African researchers in Science & Technology. The Fellowship provides opportunities for African researchers to conduct collaborative research / training for 1-6 months duration at universities and research institutions in India. The Nanyang President’s Graduate Scholarship (NPGS) is a competitive and prestigious scholarship scheme designed to encourage outstanding graduates or final-year students to take their first step towards a leading research career by studying for a doctoral degree programme (PhD) at the Nanyang Technological University (NTU), one of Asia’s leading research universities. Funding will be provided for up to 4 years for NPGS awardees. Up to 30 NPGS awards will be made available in each Academic Year. The scholarship is offered to potential students from developing countries to earn their Master Degree at one of 16 prominent universities in Indonesia. Officially launched in 2006 by the Directorate General of Higher Education of the Republic of Indonesia, this program has been attracting a significant number of applicants, as by 2015, 896 students from 64 countries had been awarded this scholarship. The Government of Taiwan through the Ministry of Education (MOE) has established the Taiwan Scholarship Program for foreign students in an effort to encourage outstanding international students to undertake degree studies in Taiwan so as to familiarize themselves with the academic environment in Taiwan and promote communication, understanding and friendship between Taiwan and countries around the world. The Chancellor of Tehran University of Medical Sciences and the President of the International Campus are pleased to announce their first round of scholarships to foreign students who are interested to pursue their studies at TUMS-IC (Tehran University of Medical Sciences- International Campus. The Scholarship is available for undergraduate (BSc), Masters (MSc), PhD and Doctoral studies. The Chinese Government Scholarship Program, offered by the China Scholarship Council, is to sponsor the international Masters and PhD students and scholars to study and research in Chinese universities or colleges. The establishment of the scholarship is to enhance the mutual understanding and friendship between Chinese and people all over the world. Türkiye Scholarships include both scholarship and university placement at the same time. Applicants will be placed in a university and programme among their preferences specified in the online application form. Candidates can apply only one scholarship programme in accordance with their educational background and academic goals. 2017 Türkiye Scholarships applications for undergraduate level begin on March 1st. Applications to Türkiye Scholarships, which has provided scholarships to 5 thousand students from over 150 countries in 2016, will be taken between 1 – 31 March 2017. In addition to providing students with education opportunities at an international quality, Turkey also offers a wealth of knowledge, experience and expertise, and opens doors to undergraduate education for successful international students from all over the World. With three fully-integrated campuses in Europe, Asia and the Middle East, and over 80 different nationalities in the classroom, INSEAD is one the Business schools with a multicultural experience. The Accelerated 10-month curriculum develops successful, thoughtful leaders and entrepreneurs who create value for their organisations and their communities. INSEAD Scholarships are most sought-after source of financial assistance. They are limited in number and there is significant competition for each award.